Cord Length Choose an option100ft.125ft.150ft.200ft. 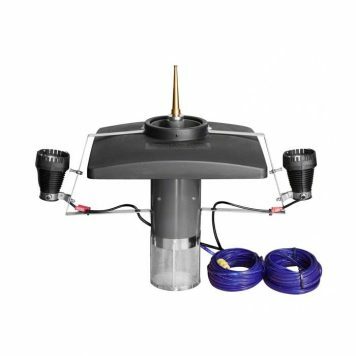 SKU: N/A Categories: Pond and Lake Fountains, Decorative Fountains Tag: Scott Aerator Co. The newest creation from Scott is here! 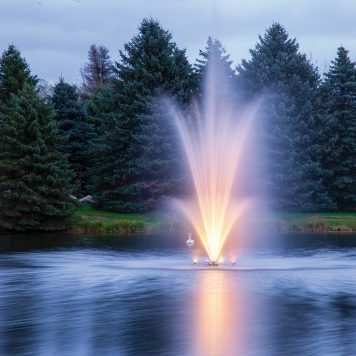 The Amherst Fountain is a beautiful pattern shooting water over 30ft high in a graceful three tiered pattern which will definitely be the envy of the neighborhood. This powerful 3HP unit, 230 Volt unit 5395separates into three distinct levels culminating in a geyser topping out at over 30 feet high. this unit propels 170gallons per minute, which also helps contribute to a healthy ecosystem. 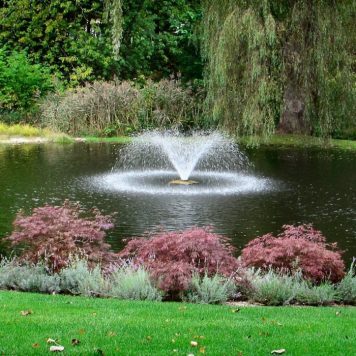 the constant mixing of water oxygenates your pond, leading to less nuisance algae and a generally better looking pond. As is standard with Scott products. 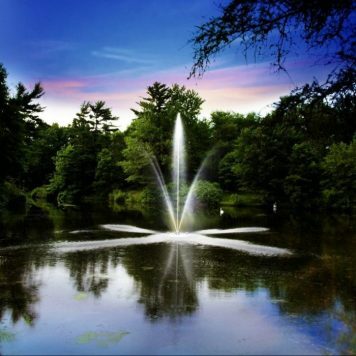 The Amherst Fountain is of stainless steel construction, oil-free motor, making Scott Aerator the most environmentally friendly fountain motors on the market. All Scott products are manufactured and assembled in the United States and sport a rock solid 5-year motor warranty. These units are also available with lights. 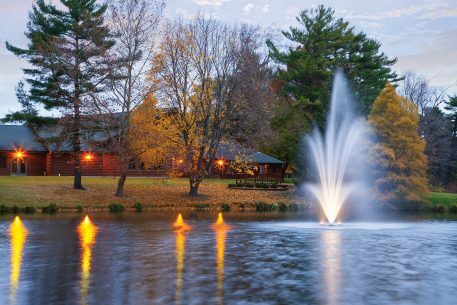 Half of the enjoyment gained from owning a fountain is through night-time enjoyment. Lighting up these units opens up a whole different level of robust spectacle. 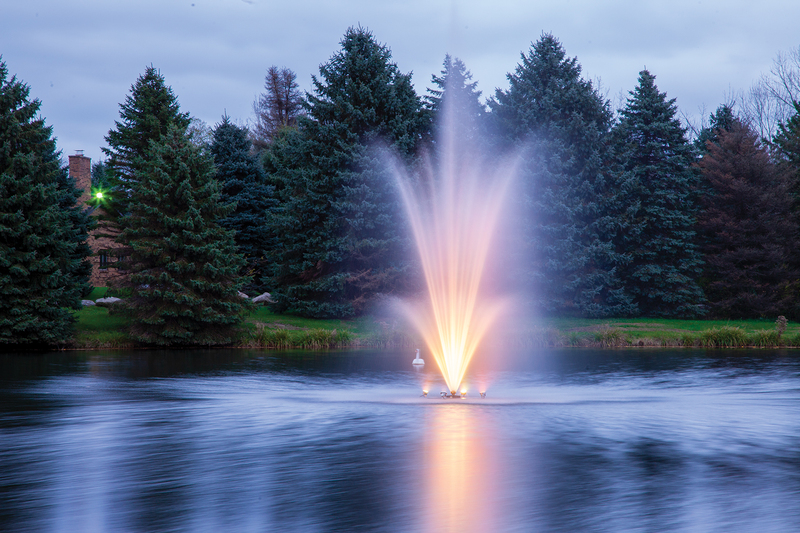 Adding a set of White or Color-Changing LED lights is a must for any fountain project. 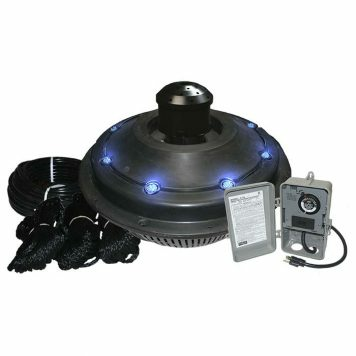 Light sets are modular, so you can add them to your fountain at any time, or order them with the purchase of your fountain. 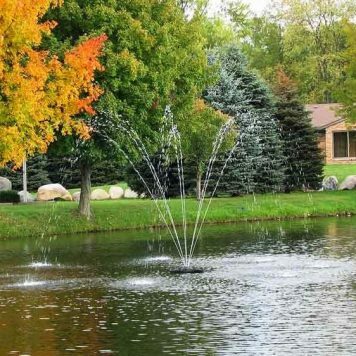 This fountain is the best display Scott has come up with yet, and we here at Midwestponds.com give it our highest recommendation.